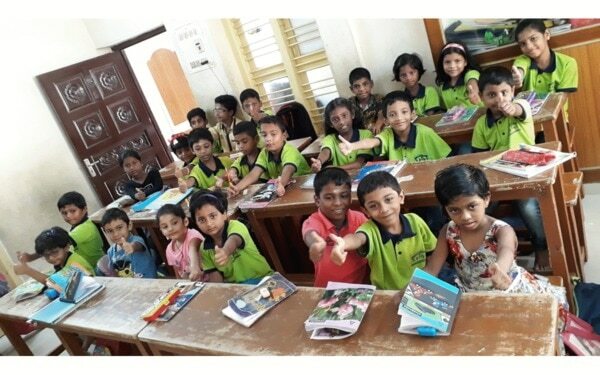 Phonics Class In Perambur Phonics is a method for teaching reading and writing of the English language by developing learners' phonemic awareness—the ability to hear, identify, and manipulate phonemes—in order to teach the correspondence between these sounds and the spelling patterns that represent them. Keyboard, Guitar classes Certified Course of Trinity College of Music, London. People who have received a music education are generally smarter than their non-musical counterparts are. Choosing to take music lessons can help build confidence. Learning to play a musical instrument makes you use both parts of your brain and this in turn boosts memory power. Chess Class in Kolathur. Playing the game of Chess on a regular basis right from the childhood improves the learning, thinking, analytical power, and decision-making ability of the child and many more. On a whole, playing the game of chess is essential for transforming a child into a responsible, disciplined, and wise human being. Chess class in Perambur also available. Trinity Spoken English Classes For Kids and Adults in Perambur. Trinity Graded examination in spoken English are one to one, face-to-face oral assessments of speaking and listening skills. They offer clear validation and help to boost confidence whilst motivating the students to continue studying anf learning. We also have Various activities for kids and adults. Kung fu & Silambam Classes @ Whiz Kids Activity Centre It strengthens the body and the mind. One of the benefits of a great workout is how it can enhance your health. As you progress through an art you learn the basics, the principles, the forms, the exercises, the applications, but all of these are really a study of yourself. Apart from this Whiz Kids Activity Centre offers many other activities. Kung Fu & Silambam class at Whiz Kids Activity Centre It strengthens the body and the mind. One of the benefits of a great workout is how it can enhance your health. As you progress through an art you learn the basics, the principles, the forms, the exercises, the applications, but all of these are really a study of yourself. Enroll your kid for May Summer Camp.